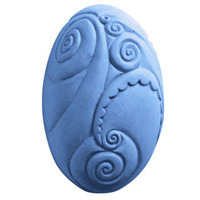 This oval shaped design features two carved waves in motion as they first meet. 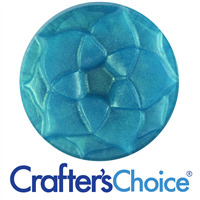 Create soaps and color with our Azure Blue Mica Powder to make these waves come to life! 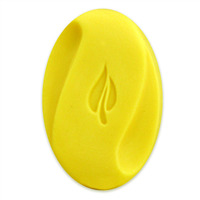 Bar Depth: 1 1/4" Bar Length: 4"
COMMENTS: It was very difficult to get my CP out of the mold. I tried with both alcohol sprayed (99%) and coating it in Sunflower oil. I wound up having to 'carve' the shape back in with pottery tools. 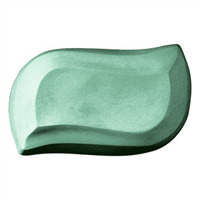 COMMENTS: This mold has such a beautiful design to it that I couldn't resist getting it for my specialty facial bars. COMMENTS: Originally purchased two molds and loved them so much I returned for more. Perfect for making custom orders of smaller batches of cold process. 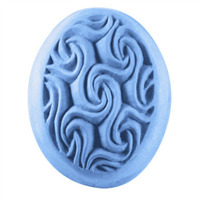 COMMENTS: I use this mold for my Melt & pour soap with Cold Water Fragrance oil and Ocean Blue color. It turns out fantastic.